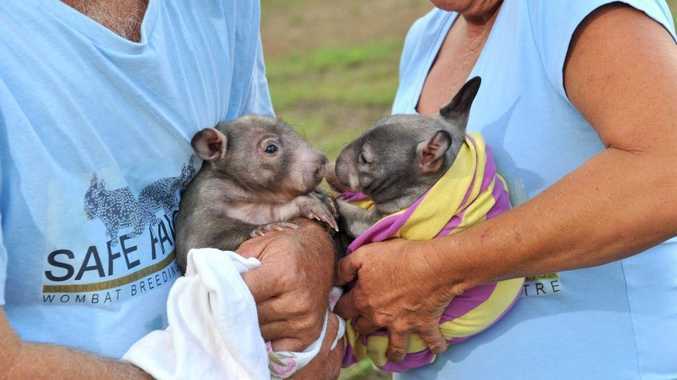 RUBY the wombat joey is getting a new boyfriend. On Saturday, the seven-month-old southern hairy nose wombat greeted her mate-to-be, Ruben, who made the long trip from Ceduna, near Adelaide to the Safe Haven Wombat Breeding Centre in Mt Larcom at the weekend. "It's an arranged marriage," said wildlife carer Peter Brooks. The pair were excited to meet on Saturday but will not begin courting until they are four years old. 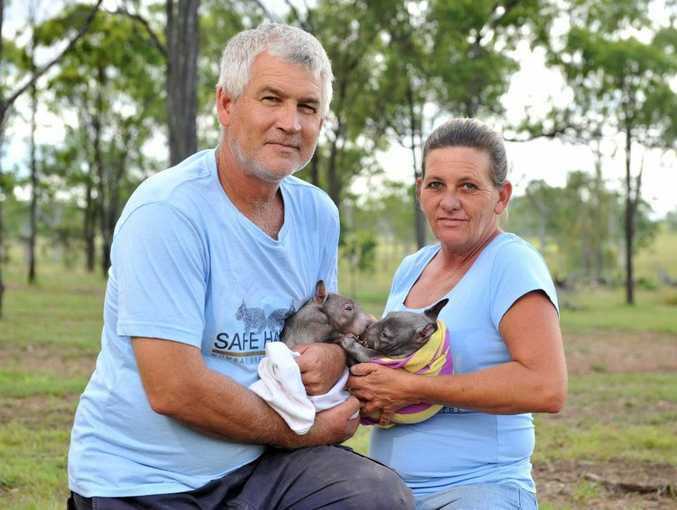 Australian Animals Care and Education's Tina Janssen established the wombat breeding centre at the Mt Larcom site with partner Mr Brooks 18 months ago. "Ruben will be part of our breeding program," Ms Janssen said. "We'll raise them together. He'll grow and become adjusted to her, and then, as a four-year-old, hopefully, he'll make some babies!" AACE's wombat breeding and research program aims to improve knowledge on wombat breeding habits, which are poorly understood at present. The program will inform a breeding strategy for the critically endangered northern hairy nose wombat. Ms Janssen said Ruben will make a good mate for Ruby, but he will first need to overcome malnourishment he suffered before being orphaned. Ms Janssen said Ruben was rescued only two weeks ago. "He should be Ruby's size, but he's just been doing it a bit harder," she said. Ruby and her siblings were orphaned while still in the pouch. "They adjust quickly and drink well and get nutrition in really well," Ms Janssen said. "During the first week with Ruben, we were fighting to get a bottle in his mouth to get him to drink. Contact AACE on 0408 613 914 for more information.